Is dental local and general anesthesia safe, painful, dangerous? Having a dental procedure done can be very harrowing for some people with fears of being in the dental chair. 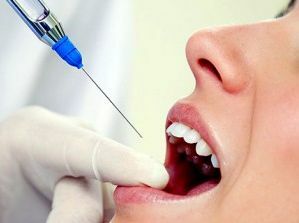 Anesthesia can help with these fears since you can be secure in the knowledge that you should not have any pain, there is of course also the fact that you need to keep in mind there are two kinds of dental anesthesia: local and the kind that will put you out (general). Local anesthesia is the most commonly used one in most basic dental procedures there are several kinds of local anesthesia used for different procedures and for different patients, some are best used for patients who have high blood pressure so that it does not raise it any higher. There can sometimes be a rise in blood pressure for those patients who have local anesthesia so if you are already a patient who has higher blood pressure you need to make sure to tell your dentist so they know what to give you. Some swelling is common around the injection site in the gum but it should not last long. Swelling and the numbness while it is in effect are the only big things you should notice under a local. Now if you are put under for a more major procedure you will in general not get swelling from it but you could see some rise in blood pressure and many patients will report a headache afterwards. If you have had a surgical procedure before and have side effects from that you may see some of the same with this form of anesthesia so again you need to make your dentist aware of your medical history so that you and your dentist can decide what would be best to use for you, sometimes taking an Advil or another such medication beforehand will help with the headache.